Know Your Prosthetics: In addition to skills, knowing the ins and outs of your prosthetics is important. The game generally provides hints on how to use them; figuring out timing is the next step. The Firecracker, for example, is great for neutralizing beast-type enemies and can provide an invaluable opening for an aggressive foe; they generally have to be used up close, though, and within the enemy’s field of vision. Dodging or parrying and then countering can work well and will open up a somewhat wider window than either would on its own. The Shuriken can be good for interrupting attacks or continuing to press a fleeing enemy from a distance, and the Flame Vent is useful for inflicting damage over time—great for a hit-and-run strategy and even temporarily incapacitating certain foes. 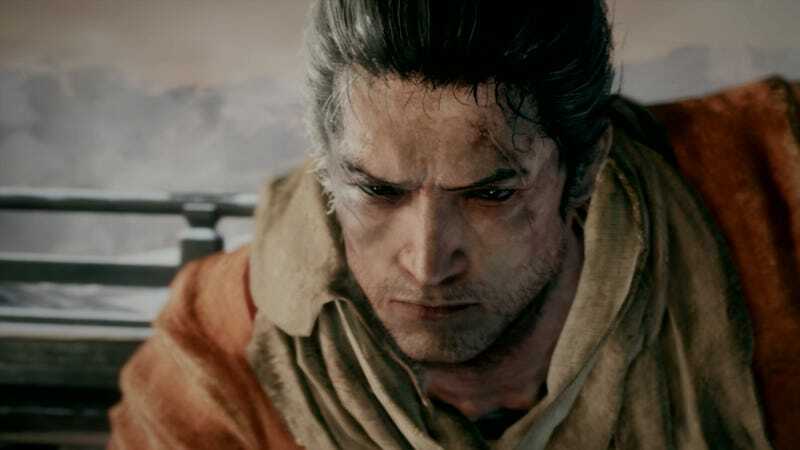 In addition to useful items and information, exploring Sekiro’s world often yields rewarding results—it’s possible to find new prosthetics this way, for example, or even new skill trees. The world opens up pretty vastly after a certain point, and I’ve found tips or useful items for far-away boss fights way across the game’s world. The game’s setting, across a mountainous region fraught with steep drops and winding trails, means there are hidden points you can hang from, obscured grapple points, and plateaus to jump down too all over the place. I’ve found that exploring an area after I’ve cleared it of enemies is the best time, as long as I’m not too attached to the idea of retreating if I discover something unsavory, like a new boss or—I won’t spoil it for you—a unique stealth/chase sequence through a freezing crevasse. There also tend to be lots of items in enemy encampments. It doesn’t hurt to meander a little bit as you progress.